You may have heard the term “functional medicine” and wondered exactly what that means and how is it different than regular medicine? The best analogy to explain functional medicine is this… if your engine light comes on in your car, do you just put a piece of black tape over it so you cant see it anymore, or do you actually lift the hood to see what’s causing the problem? 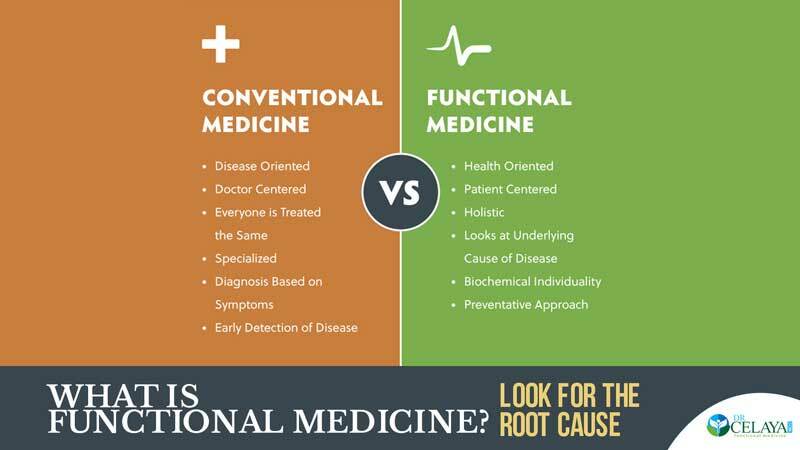 Functional medicine tries to find the root causes of a health disorder rather than masking symptoms with drugs or surgery (although medication and surgery should not be avoided when needed). Because everything in the body works together, seeing a functional medicine doctor for a gut problem, for example, can also improve your brain function and hormone issues. Suppose 10 different people have the same complaint such as fatigue. Each of those 10 people can have the same symptom, but for 10 very different reasons. For instance, fatigue in one person might be due to low blood sugar, while in another person it might be due to autoimmune disease or B12 anemia disease. 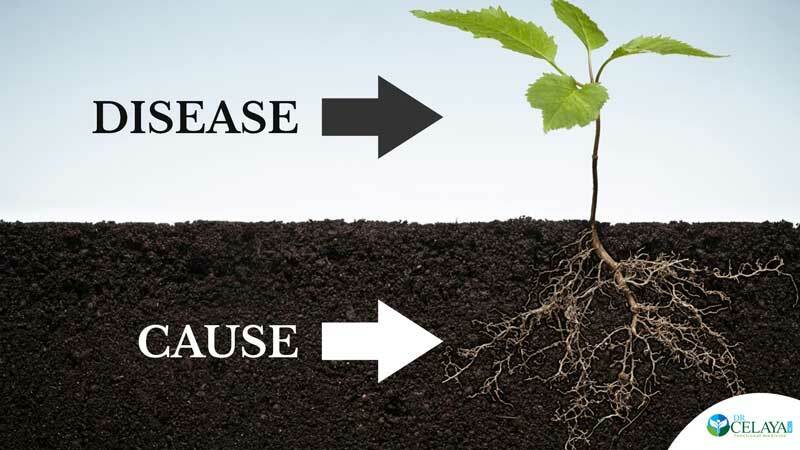 Until you know WHY you are suffering from a health issue, chasing drugs or therapies can keep landing you at dead ends. Functional medicine is based on published, peer-reviewed science to help us understand where breakdowns can occur in the body. In my office, I use lab tests, questionnaires, exams, and a case history to help me find that underlying root cause. 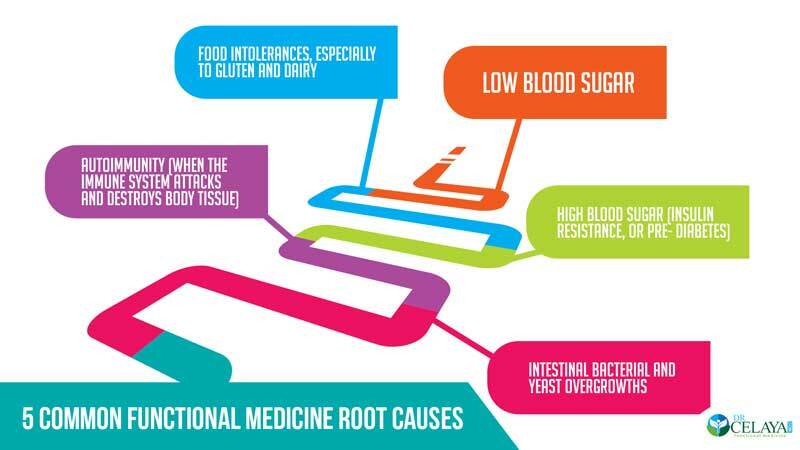 In functional medicine, we usually find some very common root causes, starting with food intolerances, especially gluten and dairy. Next is either low or high blood sugar. Another common cause is bacterial and yeast overgrowths in the intestines. And sometimes the immune system attacks and destroys body tissues which is called autoimmunity. 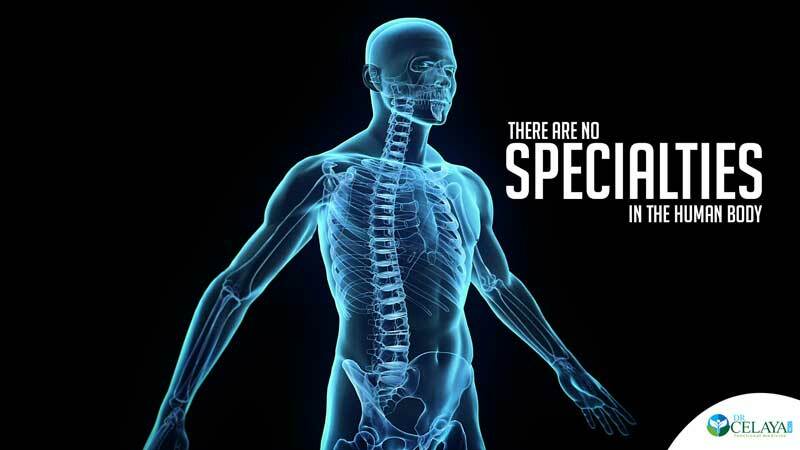 Functional medicine looks at the body as a complex web where all the systems relate to each other instead of just looking at a certain part or specialty. For example, if the gallbladder is acting up, addressing a gluten intolerance and chronic inflammation can sometimes prevent surgery. If your thyroid is sluggish or overactive, it’s important to check for autoimmunity. Functional medicine is about feeling as good as you should feel. If you want to feel as good as you can, you can schedule to become a new patient or a free consultation.